Are you ready to trade up to a luxury vehicle? If so we invite you to visit our Cadillac dealers near Midland, Texas. We have a wide selection of Luxury Cars including the new Cadillac ATS, ATS-V, CTS, CTS-V, XTS, CT6, XT5, Escalade and the all-new Cadillac XT4 crossover in stock now. Our Cadillac dealer Special Offers and current factory incentives will help you buy or lease a new Cadillac Car or SUV with remarkably low monthly payments. 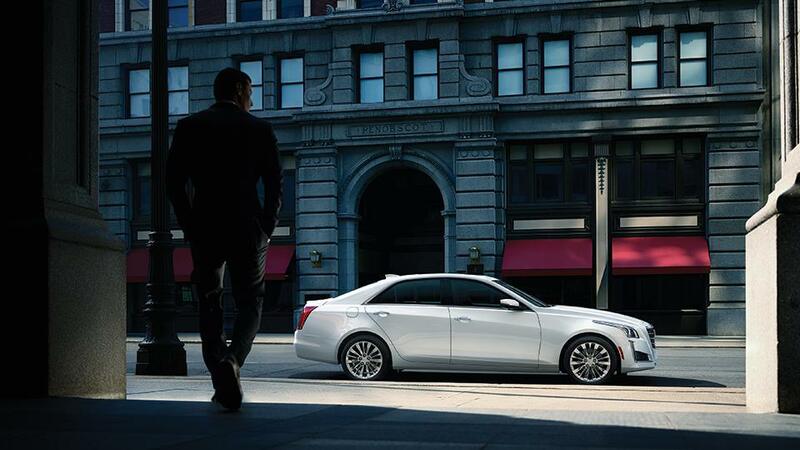 Let our Cadillac financing and lease experts explain your options and take the mystery out of auto financing. For those on a budget, we offer a great selection of Pre-owned Cadillacs and affordable Used Cars from a variety of manufacturers. We have plenty of used sedans, coupes, trucks, vans and SUVs to choose from. Many of these used cars are priced below $20,000 and even more discounts are available with our used car special offers. Perhaps you are looking for reliable auto service. The Kelly Grimsley Cadillac Service Center offers a wide range of auto maintenance including oil changes, tune ups, wheel alignments and more extensive diagnostics and auto repair. We use genuine Cadillac Parts and accessories and offer auto service coupons and specials for the most efficient and cost effective Cadillac service around. We hope that you will stop by our luxury Car Dealership and meet the team at our Cadillac dealership near Midland, TX. Our friendly Cadillac experts are here to answer your questions and help in any way possible.